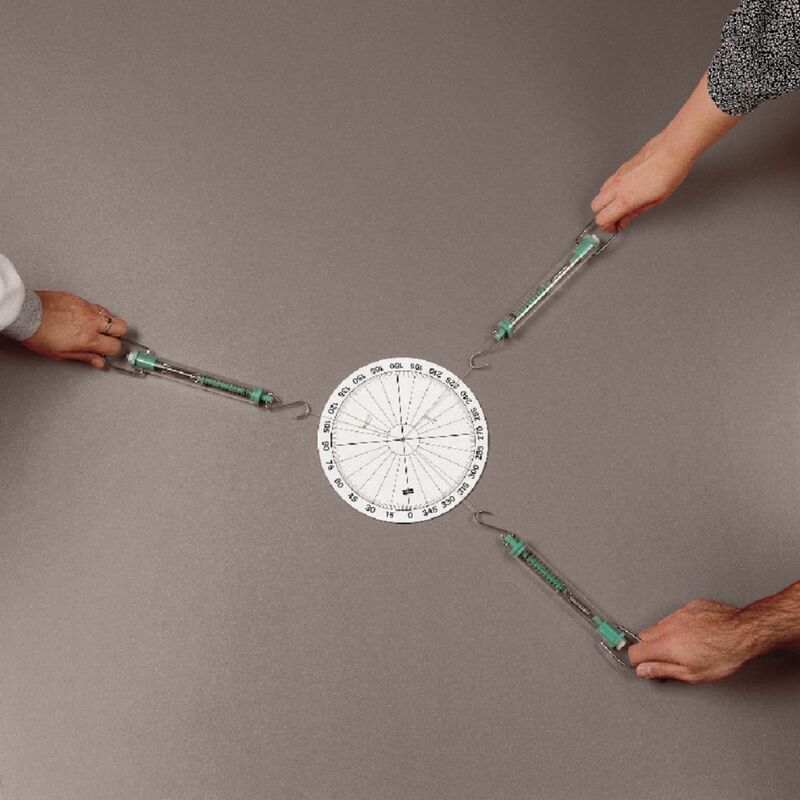 This hands-on device is an excellent way to demonstrate force vector equilibrium. Three string loops extend from a hole in the center of the disc. Three included zero-adjustable dual spring scales each have an S-hook that is placed through a loop. When pulled, the scales measure force up to five Newtons. By recording force readings and angles with degree readings are printed right, students can study the relationship between vectors and force. Includes instructions. Size: 20cm dia.